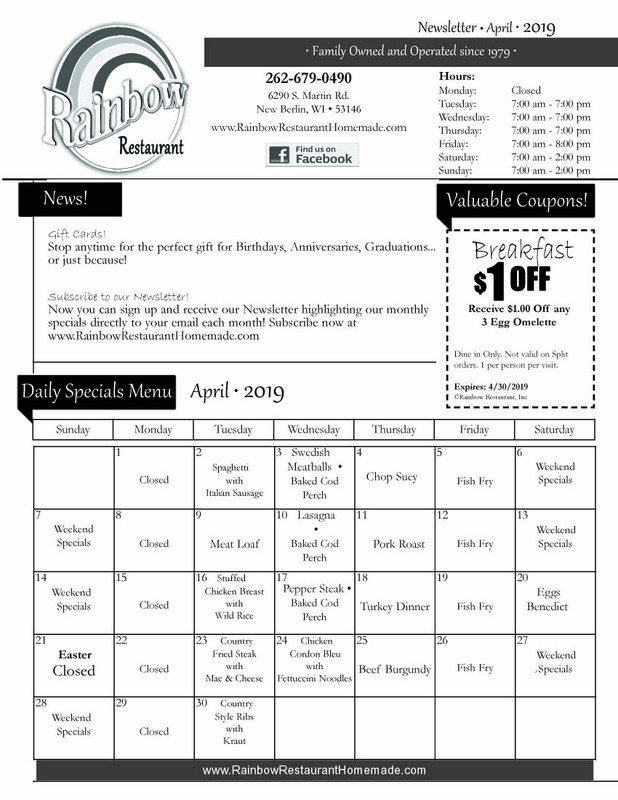 Rainbow Restaurant & Diner - Best Homemade Food in New Berlin, WI! - News! *Soup selections may change at any time! Our Soup and Sandwich meal is a favorite for lunch! A full sandwich with a bowl of soup* and a choice of fries or potato chips for only $7.75. 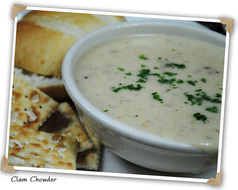 Check out our complete listing of soups. Below is what we're having this week! And we also offer quarts of soup to go. Weekend Specials !!! Accepting VISA and MASTERCARD!!! 1. Fresh Polish Sausage with 2 eggs, choice of American fries or hash-browns (0r substitute cheesy garlic hash-brown casserole for an extra $1), with choice of white, wheat or rye toast. Yummy toasted English muffin slices topped with grilled Forest ham, two poached eggs, our own fresh made Hollandaise sauce, a sprinkle of parsley served with a side of fresh fruit.